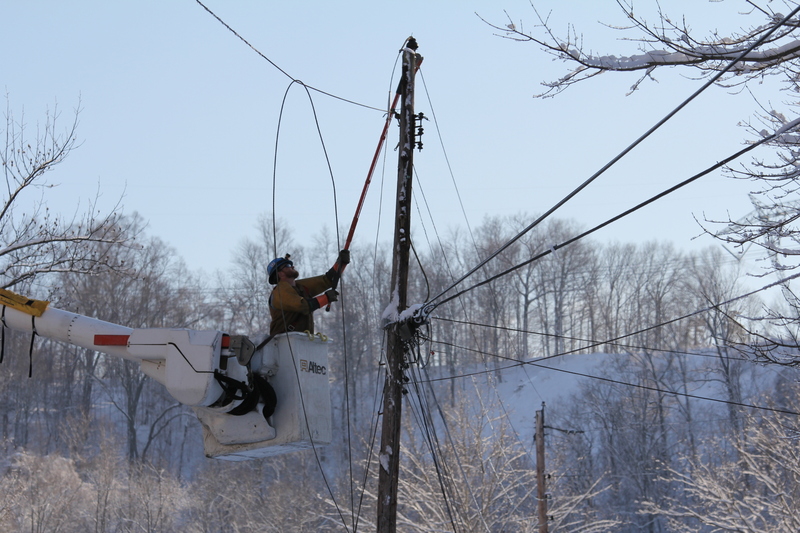 CHARLESTON, W.Va., January 18, 2019 – As frigid temperatures threaten the region, Appalachian Power is offering tips to customers for staying warm and saving money this winter. To lessen the burden of seasonal spikes in bills, customers can sign up for the Average Monthly Payment (AMP) plan, which evens out payments through the year to account for upticks in usage caused by heating and cooling. Bills adjust on a 12-month rolling average and change only slightly each month. There’s no settle-up month. To sign up for this plan, customers can visit www.AppalachianPower.com/AMP or call 1-800-956-4237. Limit your use of space heaters. Electricity to run just one 1,500-watt space heater can cost more than $4 a day, or $30 a week and $130 a month. If you use more than one space heater, your costs go up even more. Have your furnace and ductwork inspected annually. Loose, broken ductwork accounts for 15-35 percent of a home’s energy loss. Caulk, seal and weatherstrip openings from your home to the outside. If you have a heat pump, change the heat setting very gradually to avoid putting it into costly emergency heating mode. Know that in very cold weather, the emergency or auxiliary mode will run, increasing electricity usage.